What is Hemophilia? Hemophilia is an inherited blood disorder that affects the bloods ability to clot. It usually runs from parents to children. What causes Hemophilia? In normal individuals, blood contains certain clotting factors. In case of Hemophilia, there is mutation of the gene which is responsible for the production of the clotting factor. This mutated gene is therefore unable to produce the clotting factor and thus hampers the blood clotting mechanism. The gene is present on the X Chromosome, and hence it majorly affects only males. Symptoms of both the types remain the same, whereas the treatment modality varies. Symptoms of Hemophilia – Severity of the disease denotes the symptoms of the disease. 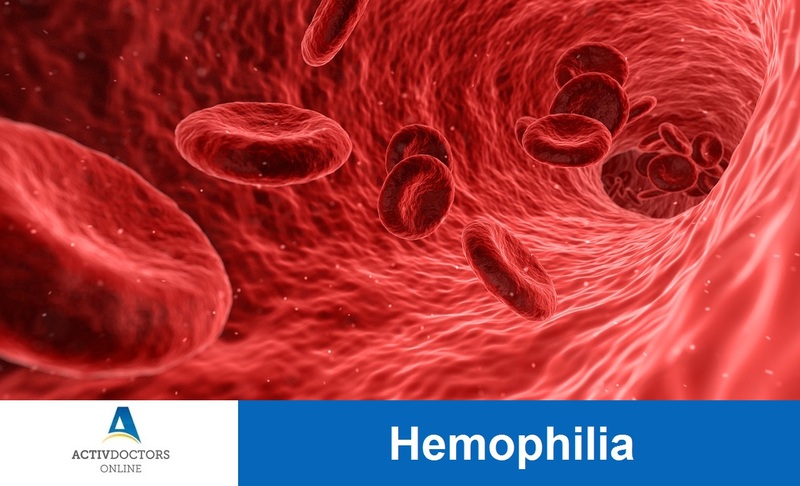 Mild Hemophilia – Patient remains normal for many years unless he has a significant wound or needs a surgery. Severe Hemophilia – Spontaneous bleeding can occur from nose, gums, joints and muscles. This is the most severe form of the disease. How to identify if you have Hemophilia? If you are bleeding for a longer time than usual, Hemophilia is usually suspected. Diagnostic blood tests are conducted to accurately diagnose the condition. Treatment for Hemophilia – Hemophilia cannot be cured however the symptoms can be minimized and the risks can be reduced by treatment. Various treatment options available are – Supplementing clotting factor, medications and treatment for the underlying problems. Hemophilia is a fatal condition, but intervening at right time can minimize the risk and even the fatality.